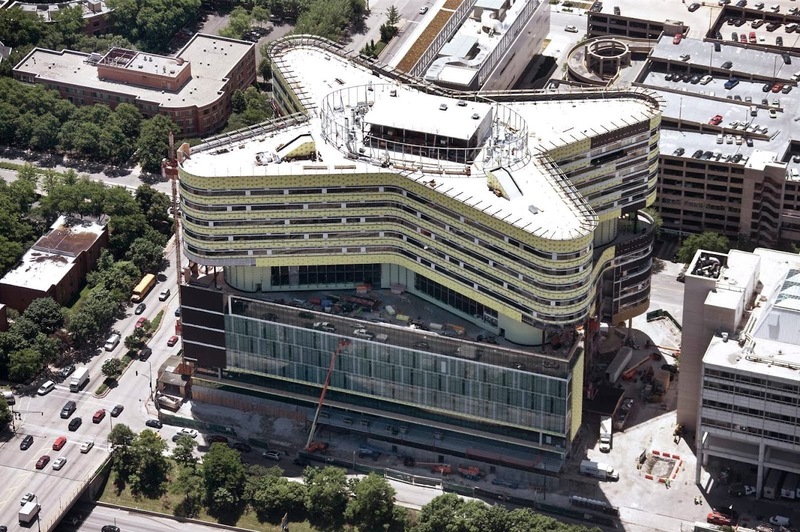 In 2004, Rush University Medical Center revealed plans to embark on the most comprehensive construction and facilities improvement project in its nearly 175-year history. 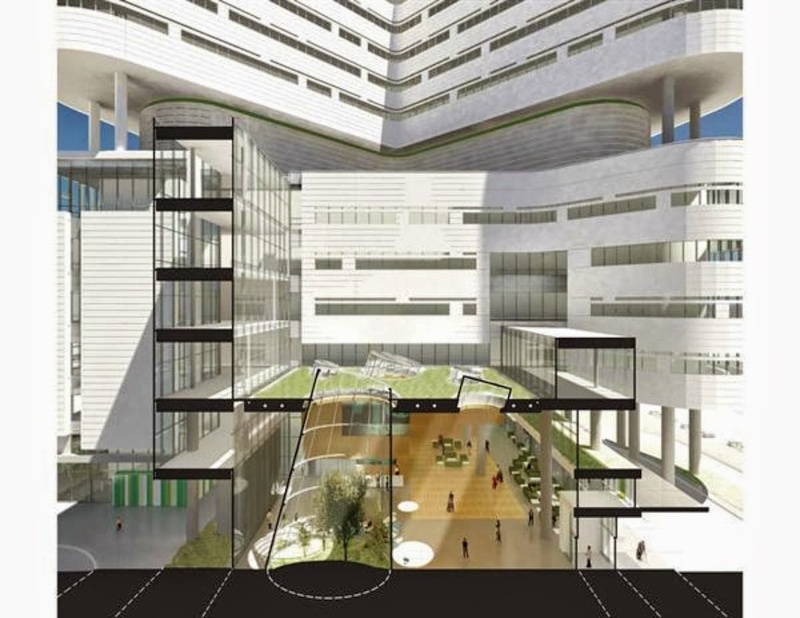 Dubbed the Campus Transformation Project, the sweeping plan called for investment in new technologies and facility design that would modernize operations for the 21st century and reorient the campus around the comfort of patients and their families. 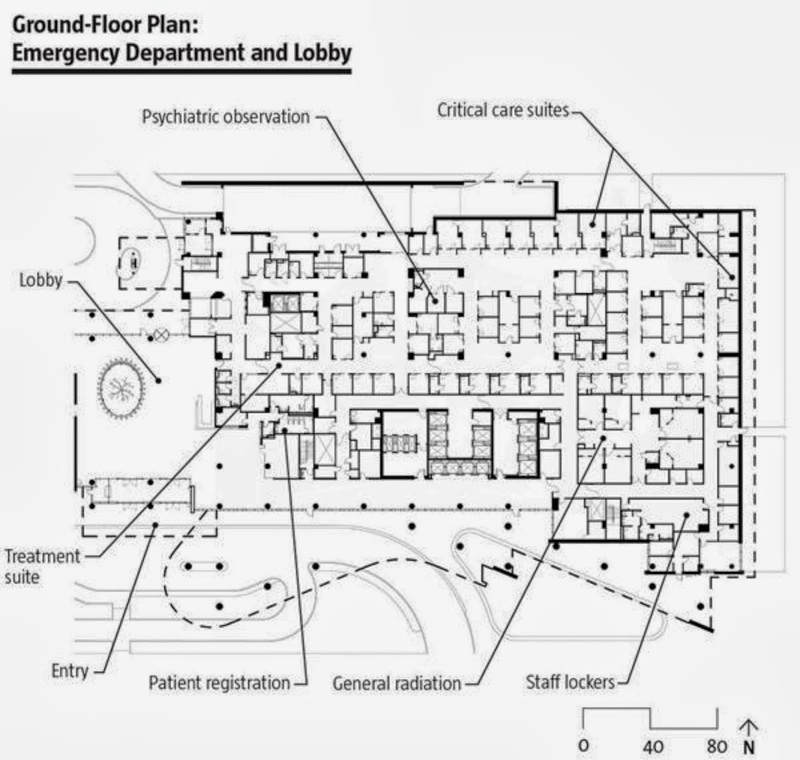 The new building houses diagnostic facilities and 386 patient rooms, and the program very much dictated the structure. 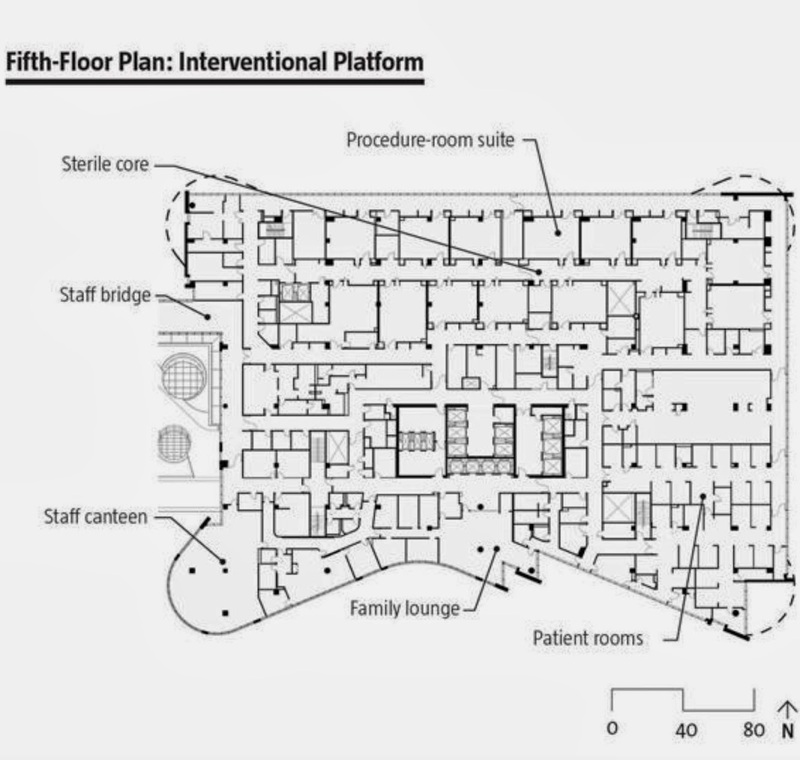 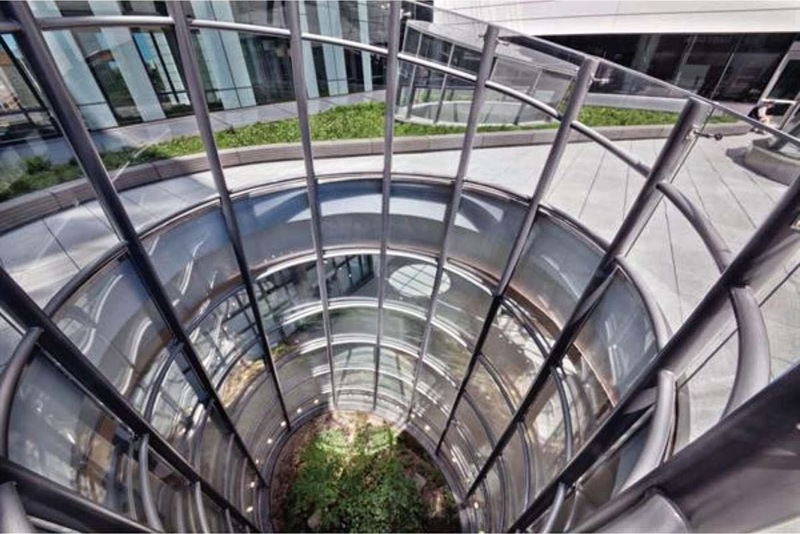 the orthogonal six-story volume at the base of the building houses treatment facilities, operating rooms, radiology suites, and the emergency department, and care was taken to share resources between departments wherever possible. 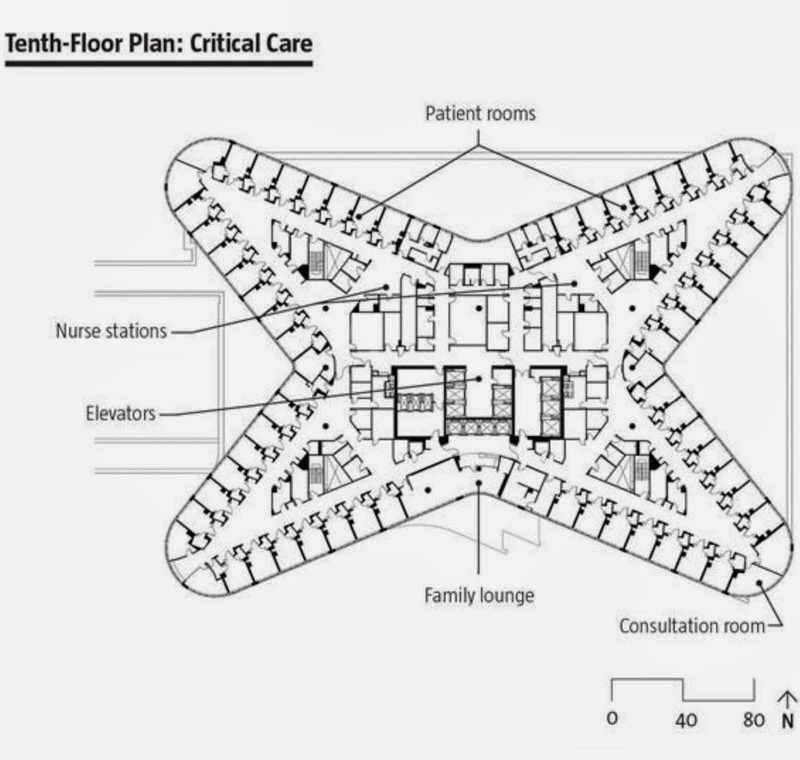 ”Patient rooms are housed in the five uppermost levels, which take the form of a four-pointed star. 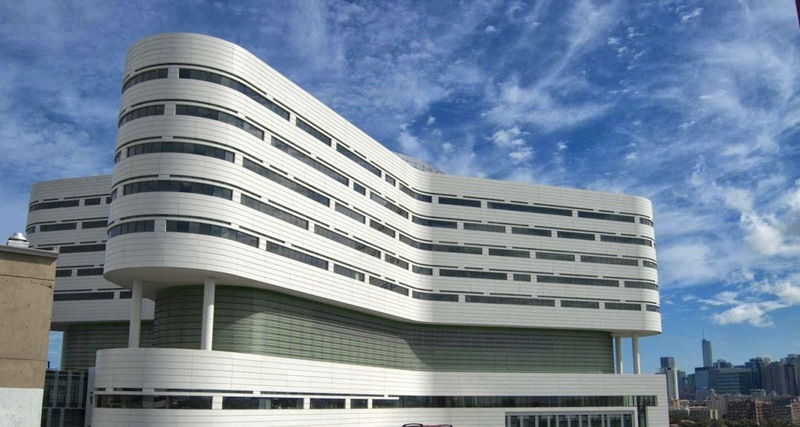 the unique footprint ensures that each patient room is identical, to create efficiency for the staff, while maximizing the amount of exterior wall surface and the number of windows. 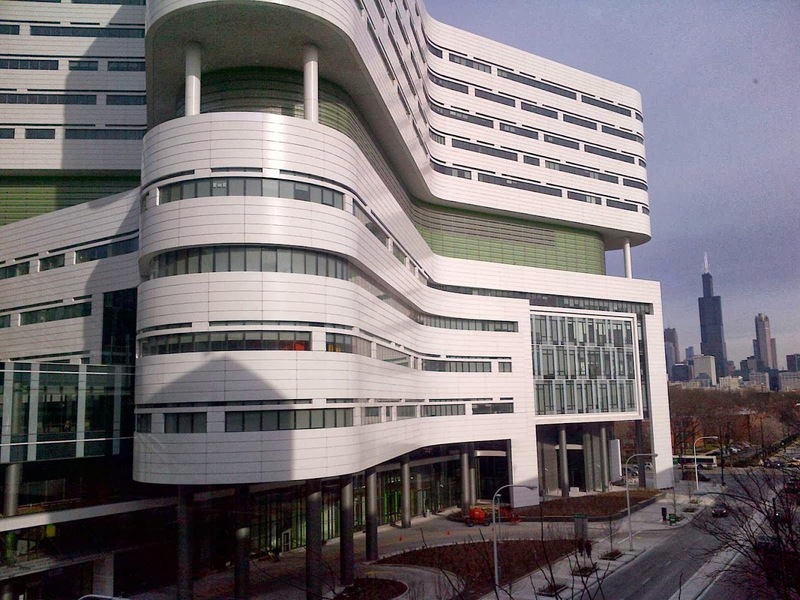 This allows daylight into, and views from, each patient room” says Ralph Johnson, Faia, of Perkins+Will. 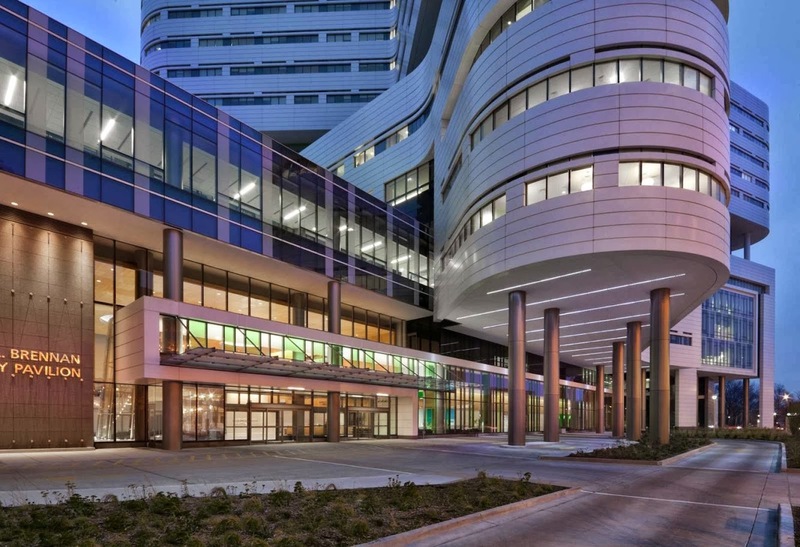 “Rush enlisted us to plan and design the transformation, which included a new 840,000 square foot state-of-the-art hospital building, a new medical office building (the largest orthopedics care facility of its kind in the Midwest), and a centralized power plant/parking garage. 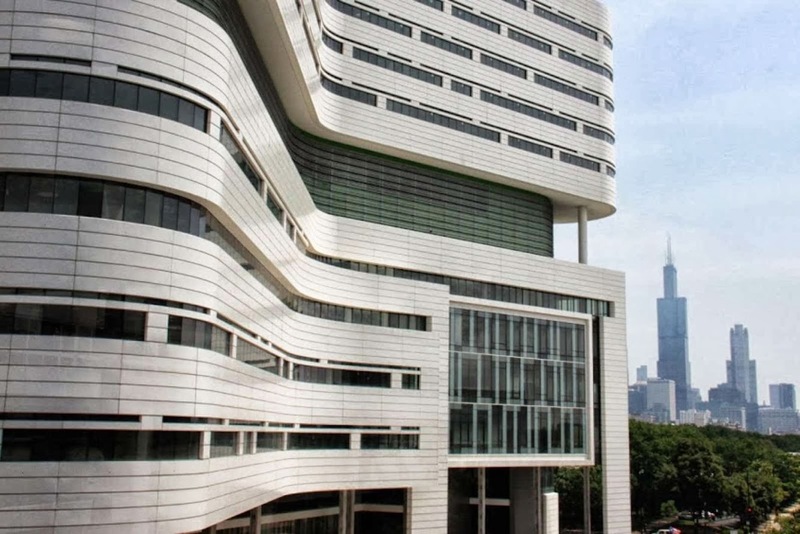 The existing hospital building, connected to the new hospital tower with a 10,000 square foot entry pavilion. 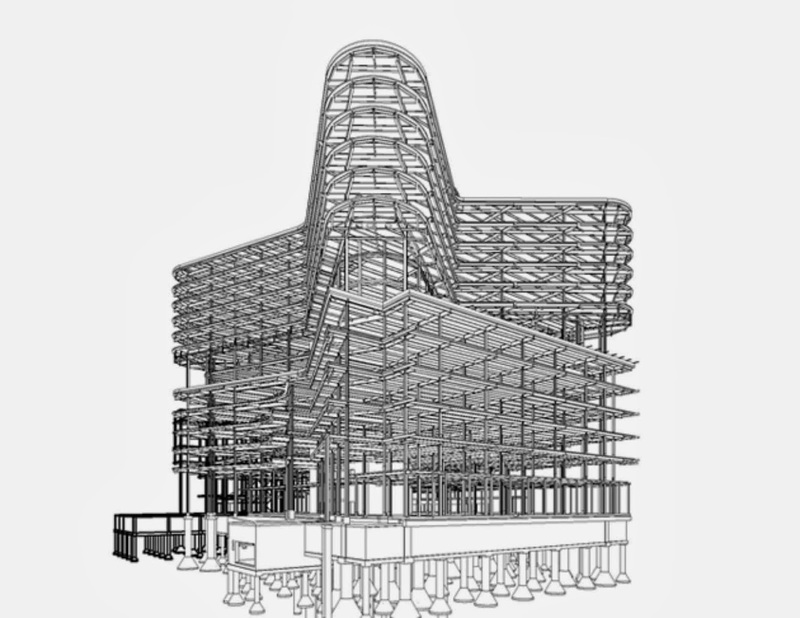 to address the unique needs of this large undertaking, we established a multidisciplinary office along with the program manager and key subconsultants on the project site. 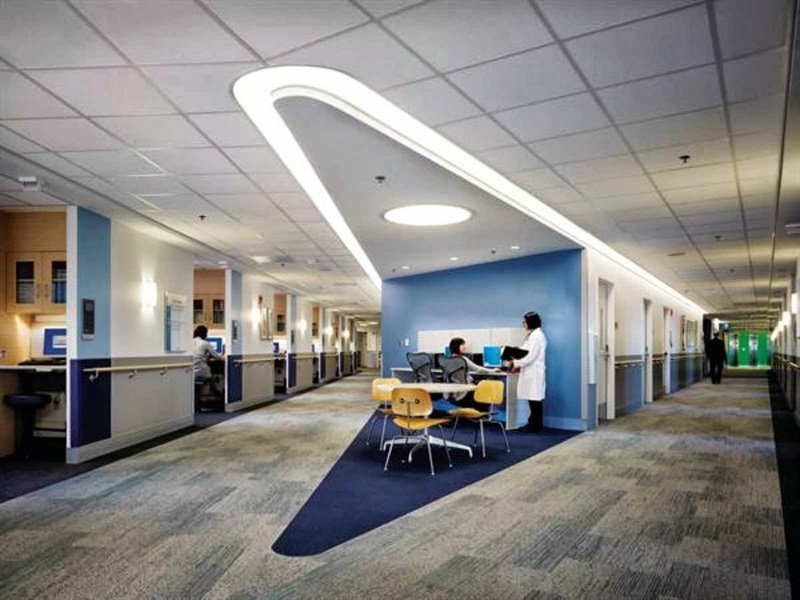 Colocating with the client and full project team allowed design staff to experience firsthand the daily challenges taking place inside an urban hospital, from working through "code-reds" to riding the elevators with patients on gurneys. 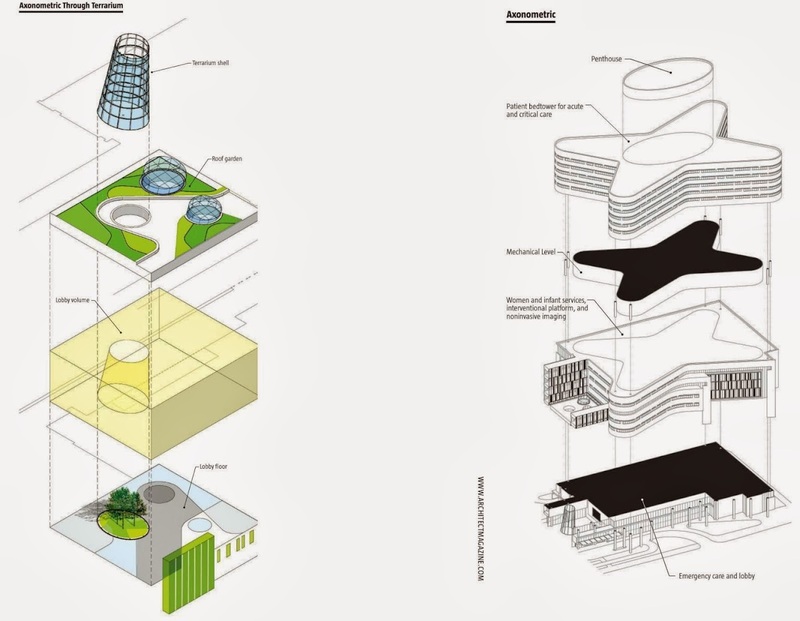 It also made the client a close partner in the design process, with architects and designers having daily face-to-face access to decision makers or users for extra review and insight. 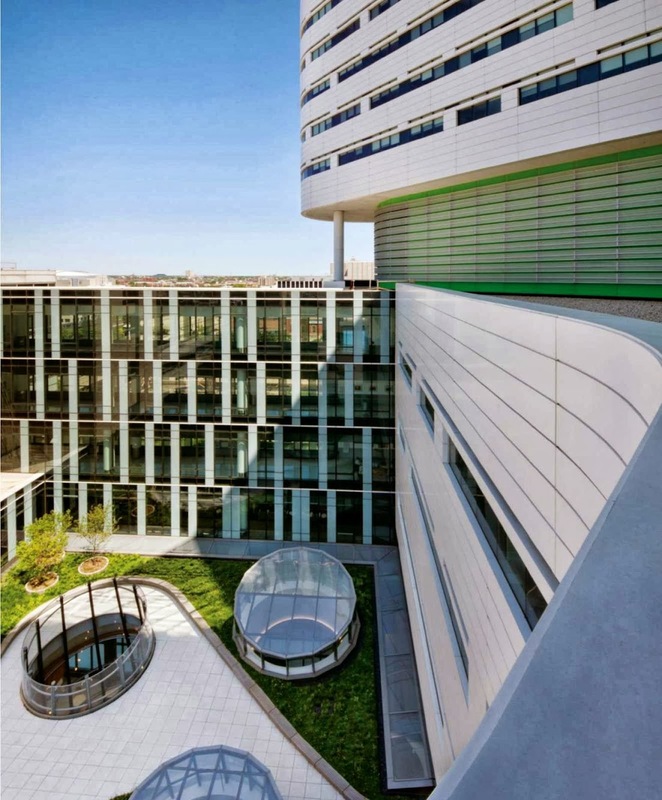 With smart, environmentally friendly use of resources, strategic reorganization of logistics, and architecture that optimizes the experience of those who inhabit and use it every day, the new Rush University Medical Center campus has transformed into a true asset to the west side of Chicago, and an exciting new setting for the delivery of 21st century healthcare.” Perkins+Will. 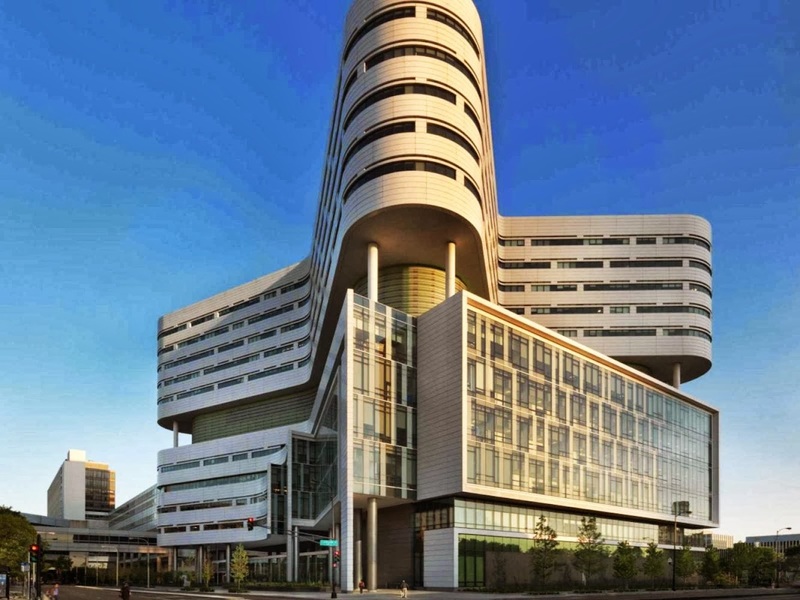 “While we weren’t looking to make an architectural iconic statement, that’s what happened. 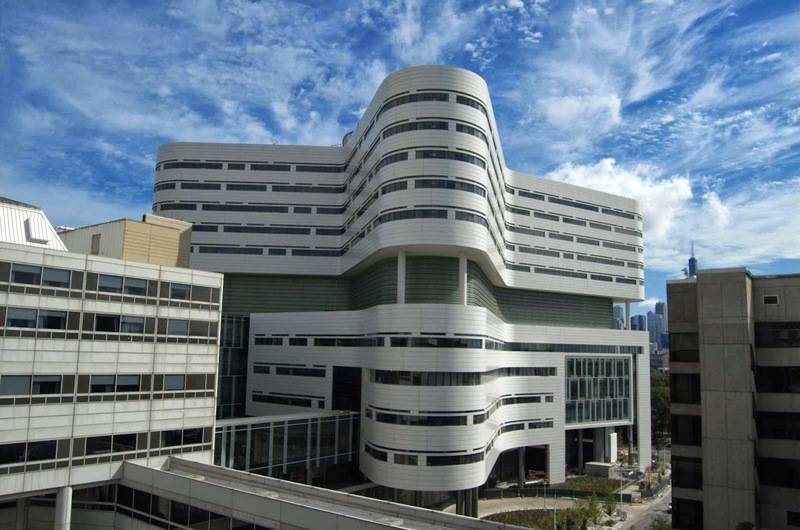 We think it’s kind of a magnificent gateway to the city itself, and Rush always wanted to be viewed as Chicago’s hospital” says hospital executive vice president and Coo Peter Butler.